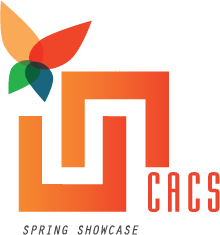 CACS Mission is: CACS is a regional association that provides inspired leadership, professional development, and innovative services to support the success of the students and the educational institutions our members serve. *We define our potential members as being anyone who is a provider of services, products or resources to the education community." Most of the member stores are owned and operated by the institutions they serve; the remainder are privately owned or leased. Membership of the Association is comprised of store members and associate members (vendors). There are more than 90 store members. In addition, there are approximately 120 associate members who are vendors providing goods and services to the college store industry. The membership has contributed the energy and integrity needed to advance CACS to ever increasing levels of professionalism. CACS is strengthened by the membership's commitment to growth and to meeting the challenging needs of the colleges and universities it serves.